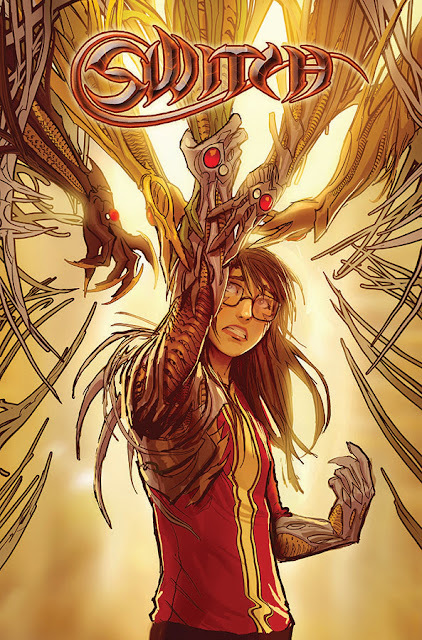 Bestselling cartoonist Stjepan Sejic (SUNSTONE, DEATH VIGIL) brings to print his popular web-comic SWITCH. The new Top Cow series gives nod to the classic WitchbladeUniverse, but welcomes surprise crossover characters and—at its heart—explores the story of a teen girl trying to understand her mysterious new powers. Top Cow’s Witchblademeets New 52’s Batgirl in this fresh series told in delectable Sejic fashion and hitting stores on October 14th.